The first robots predate the term “big data” by over 30 years. However, data has been integral to the development of robotics for many years, even though the concept of big data is fairly new. Big data will continue to play a vital role in shaping this slowly evolving field. Robotic process automation is the newest change that is impacting the robotics industry. Artur Dubrawski, director of Auton Lab at Carnegie Mellon University, told ZDNet that robotics and data have been intertwined since the first automaton was built. “Robotics was always about data,” says Dubrawski. “According to the operational definition of robotics it is about repeatedly executing the following three-stage sequence: sense, plan, act.” Robotics has depended on big data for a variety of purposes. However, robotic process automation is one of the newest. You may have heard the term “robotic process automation” before. But what is it and how will it affect our future? What role will big data play in its inception? McKinsey has provided some answers to some of these questions. Leslie Willcocks, an expert they interviewed, said that robotic process automation is designed to mimic the behavior of human knowledge workers. They are meant to develop a standardized process, which involves many big data applications, including machine learning. When making use of Robotic Process Automation or RPA from companies such as Kryon RPA Solutions the entire dynamics of a business is changed. RPA, a revolutionary technology used to automate repetitive business processes, is giving companies space for improvement, faster turnaround times for completed tasks and an overall improvement on how business is conducted. With this said, how does RPA streamline your business workforce? RPA is able to upload and index company documents. Since uploading and indexing documentation within a company takes up a lot of time and is considered a repetitive task, it only makes sense to make use of a solution that will save time as well as money. With RPA being designed to handle bulk documentation with error-free precision, you can rest assured that all documentation will find its correct place. RPA can create auto reply emails and letters. Once again, having a system in place that can automatically reply to emails or send auto-responses will save a lot of time. With manual labour eliminated from the equation, it leaves employees to concentrate on more important aspects of keeping the company operations up to standard. All employees need to do is program the RPA system (which requires no training) to handle the repetitive task of sending out auto responses. RPA can check documents to see which templates were used. To simplify letter and email formats within a company, different types of templates are used. As human error can cause the wrong templates to be used, time plays a huge part in getting the job done effectively. This is where RPA comes to the rescue once again. By programming the system to ensure the correct templates are used when sending out documentation, time and money is saved since bulk work is handled flawlessly. RPA can conduct and gather data from online surveys. One very important aspect of determining whether a company is operating to its full potential is making use of online surveys to conduct research. Online surveys can tell company owners a lot about their business such as how customers are being treated, how fast consumers receive end results as well as what the general impression of the company is. Since gathering and evaluating data from online surveys takes a lot of time, RPA systems can take over the job. This type of system is designed to gather data and sort it according to specific structures which have been pre-defined. With the above-mentioned ways RPA can streamline your workforce, many companies are opting to make use of this software. 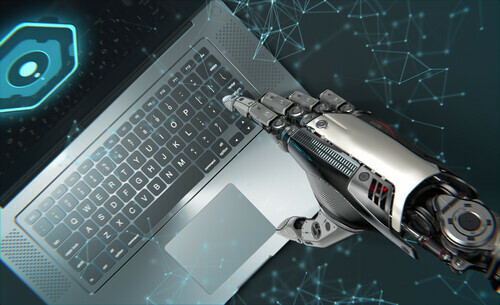 Although the technology used within this software will grow, improve and become more rapid over the next few years, businesses from all over the globe are already investing in making RPA their primary form of handling repetitive workloads. As companies have their eyes primarily on consumer satisfaction and lightning speed results, the RPA system gives a solution to both speed and satisfaction issues. Robotic process automation is a fairly new development in a field that has existed for over half a century. After years of forecasting, it is finally coming into the fold. It wouldn’t have been possible without the recent developments sparked by big data.